Being contacted by someone with Cru at my college. Knowing when and where Cru meets. Getting the time and place of a Bible study. You may have already received emails from these students forwarded by Pat Senkbeil, our Student LINC and Coaching Center Assistant. 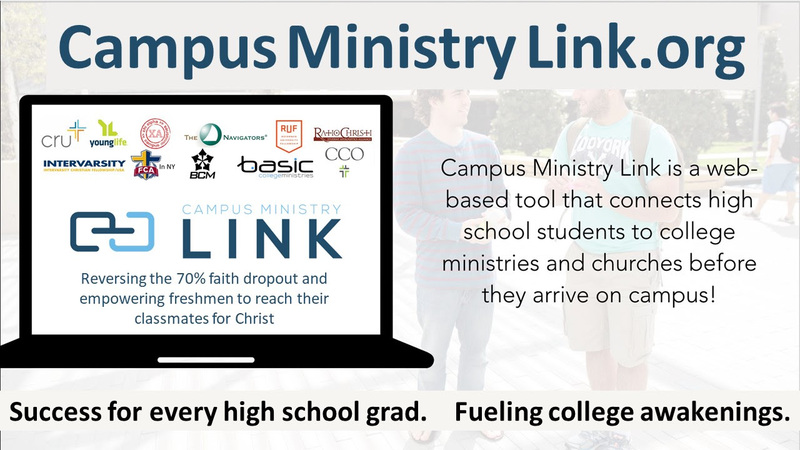 Connecting them to a ministry on campus is easy. But if they are on a campus where the movement is small, re-starting, or you’re just beginning, it might be a bit more challenging to help them. It is very possible that God has brought them along to help you with that ministry at this time. I think of the old “Cornelius Principle”, about God at work in ways apart from what the apostles were doing. While not everyone wants to, our team has found many incoming freshman do want to start something on their campus. Whether you’re busy in following up survey contacts, helping with Hurricane Harvey clean-up, or your schools have been closed because of Irma, why not check out “Want to Start a Ministry on Your Campus?” page on Cru.org. Then suggest interested students read through the first six steps. They can also get a preview of some of the possible resources we might use in our movements under Prayer, Evangelism, and Discipleship at the bottom. This entry was posted in Launching, Student Ownership on September 17, 2017 by Gilbert Kingsley.